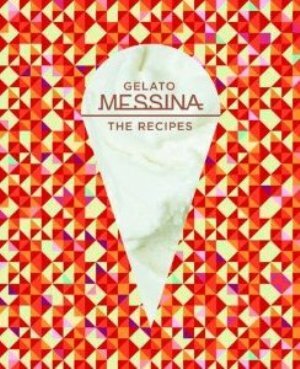 Beautifully illustrated and fully photographic, Gelato Messina is filled with unique ice cream recipes that result in frozen works of art. This cookbook transforms all perceptions of traditional gelati and shows you how to create beautiful and delicious ice cream in show-stopping flavour combinations. The first section, entitled 'Basics', covers core ingredients, equipment and techniques for making the foundation flavours used throughout the book. The 'Recipes' section shares 50 recipes for ice creams and gelati divided by bases, whether it be a white base, yoghurt base, chocolate base or even an alcohol base, as well as sorbets and infusions. The famous Gelato Messina store in Sydney is known for its impressive flavour combinations which are shared here - try your hand at the irresistible dulce de leche, pear and rhubarb, poached figs in masala or salted caramel and white chocolate flavours. // Gone are the days of two scoops or three, Gelato Messina's ice creams and desserts are works of art in their own right. Discover ice cream which is truly out of this world in the 'Messina Madness' section, such as the Pavlova - fior di latte gelato, passionfruit and raspberry coulis and meringue - or the Nut Job - custard gelato, peanut butter dust, pie crust and cream. For the truly adventurous, dare to try the Satay Gelato (peanut butter, soy sauce, chilli and chicken skin) or the Nacho Libre (avocado, tomatoes and corn chips)! These recipes will challenge everything you think you know about ice cream, and the results are sure to impress.